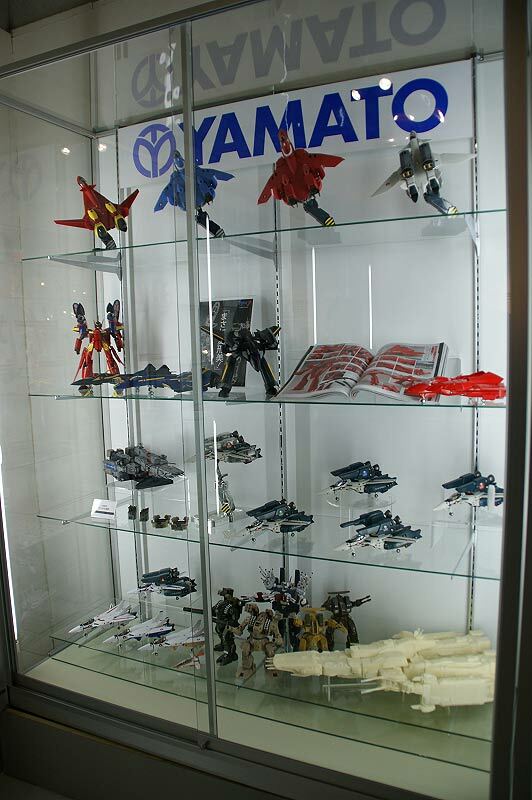 Closet full of Yamato Toys....saw this in one of their blog posts during one of their showroom engagements. In the pictures you get to see the recently released 1/60 VF-19S Excalibur of Emerald Force from Macross 7, and of course the highly anticipated 1/60 VF-17S Nightmare of Diamond Force that's scheduled to be released this December. There's also the 1/60 VF-19 Fire Valkyrie equipped with the Sound Booster that's also out for sale already. I never realised how big the 1/2000 Macross SDF-1 HDP kit was till I saw this picture (lower right of the cabinet). The price also was no laughing matter at it cost around 200,000 yen. Then of course if you could afford that what you would be getting was a resin kit that needed building. But hey, if you can afford that, you can also probably afford to get somebody to build that for you, you just look around those modelling forums to find a guy who does commission builds. 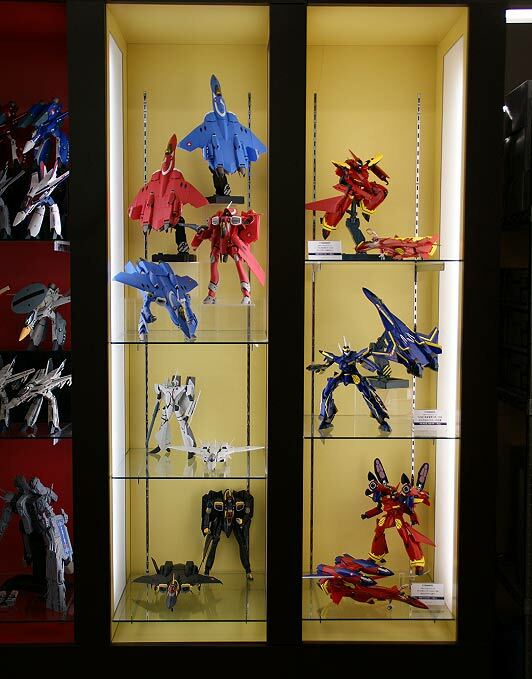 Having a few 1/60 Macross toys built by Yamato, I have to say that as a Macross fan, it never gets old watching them sit at my display case. Pieces of art really in my eyes that quenches my thirst for all things Macross. It has always been my opinion, that ever since Yamato released the 1/48 and 1/60 line of Macross toys, that they had set the bar for fans like me to compare all future Macross themed toys against.